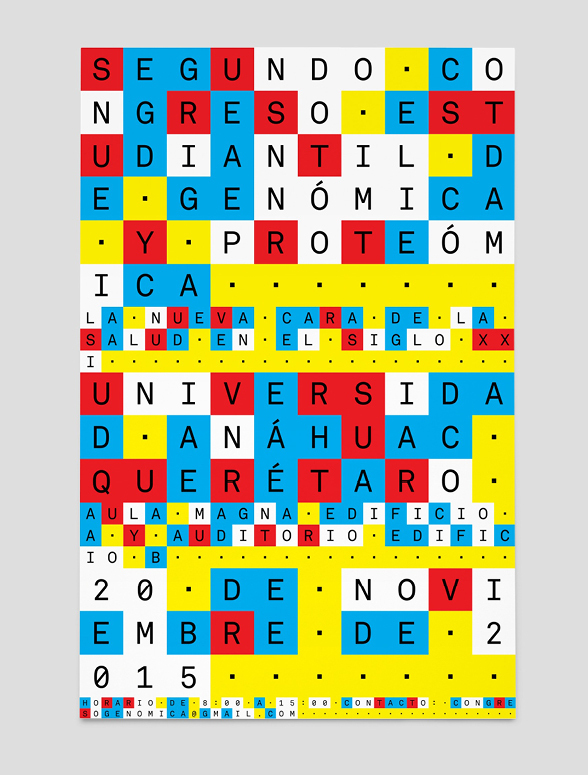 Identity and printed/digital matter for the Second Student Congress on Genomics and Proteomics at the National Anahuac University Mexico. 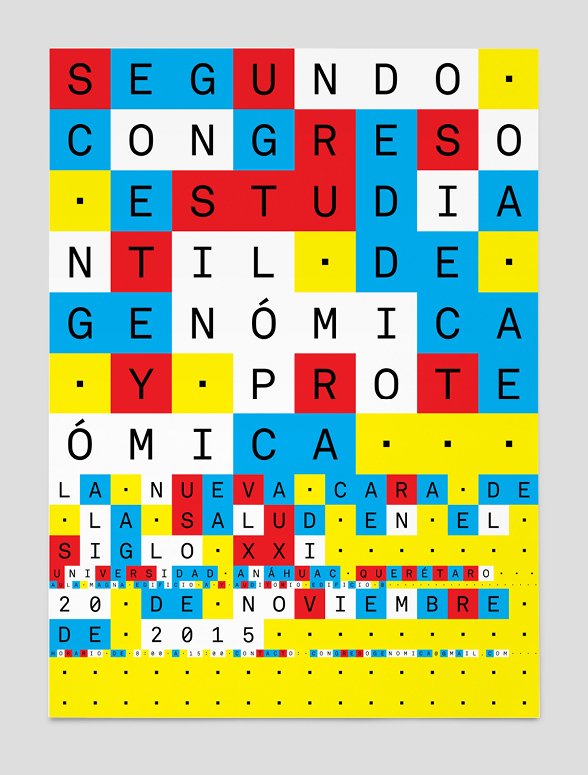 Bringing together leading medical professionals, academics and students, the congress serves as a forum for the advancement in research and dissemination of applied genomics and proteomics in Mexico and Latin America. The identity stems from the principles of DNA sequencing. By treating the letters of the alphabet as if they were coded nucleotides, an incredibly flexible system was set in place for all conceivable print and digital formats. As is true in DNA sequencing, the coding system, regardless of format or medium, becomes the identity.